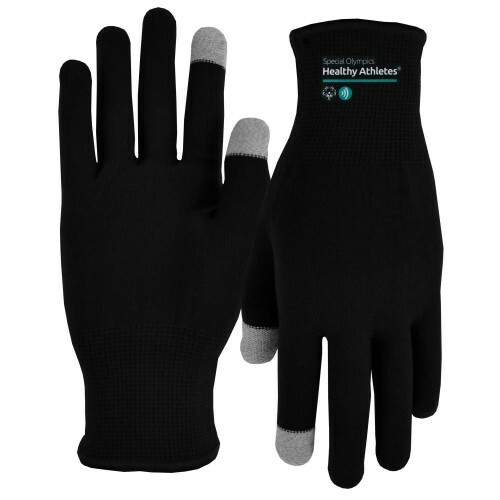 The runners and sports text gloves are made from a stretchy Nylon material. 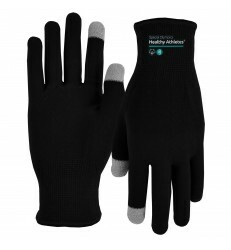 Two-finger activation (first finger and thumb) for compatibility on touch screen devices. Available in Black only. Adult sizing, one size fits most.